Life After Death: The Interdiction of Angeline Atlas - who is nicka smith? 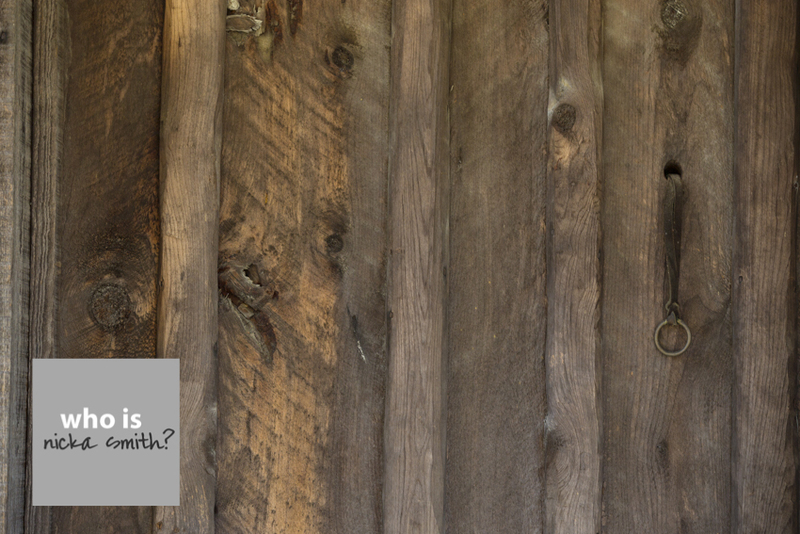 Introducing my take on the FamilySearch 52 Stories project: Life After Death. I’ll be looking at the lives of relations through the lens some of the last records they left behind. Deep in the annals of genealogy and family history lay stories about parts of our past that aren’t pretty. These accounts usually involve secrets, scandals, and things that closely resemble the drama we currently see gracing our various screens in the form of reality television. Sometimes these narratives are well known in our families and are openly talked about. Sometimes the accounts we come across are too painful to discuss and our image of our beloved progenitors becomes shattered as clues begin to emerge about their involvement in the narrative. Sometimes no one appears to be at fault for any of it – life is just what it is – and we of who descend from all sides are left to reconcile what we’ve heard or found in our 21st century minds. Such is the case with Angeline Patrick Atlas. As roasted turkeys cooled and dressing simmered in homes across Louisiana, a new unmarked grave at the Insane Asylum in Jackson was likely filled. It was likely filled because the record of death for the decedent was mostly blank, with no apparent care taken to note the date of burial, but noting the date of death, Wednesday, November 27, 1918. Perhaps those who completed it were eager to get home to their families for the Thanksgiving holiday taking place the next day. Or, perhaps it didn’t quite mean as much at the time, because the decedent was just a crazy colored woman. 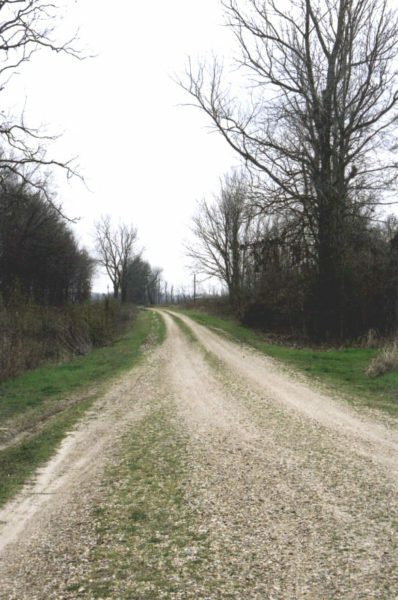 Hood Lane Road, circa 2006. Eventually Thomas and Angeline bought 50 acres of land in township 21 north, range 12 east in an area of the parish called Jefferson Ridge (7). It was adjoining land purchased by Thomas’ brother Louis and his wife Susie (my great grandmother). The road this land exists on is now called Hood Lane Road and was the family homestead for more than 100 years – three generations were born there. Things appeared to continue to progress normally as Thomas’ children began to leave home to start families of their own, but a dramatic shift happened in 1916. The specific source of Angeline’s mental break is unknown, but oral history notes that Thomas was unfaithful and would “run the streets.” Angeline became known to have mental breakdowns. Everything came to a head in the 9th District Court of Louisiana on September 23, 1916. 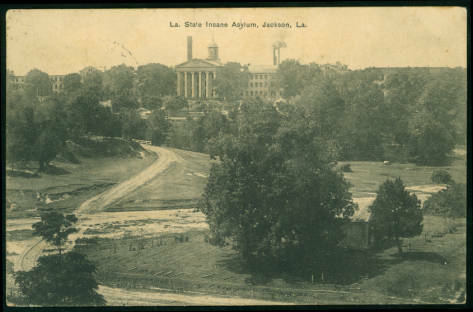 Insane Asylum of Louisiana, circa 1909. Louisiana Postcard Collection, Mss. 3645, 3754, Louisiana and Lower Mississippi Valley Collections, LSU Libraries, Baton Rouge, La. E.K. Judson was sent to the Asylum from Orleans Parish, Nov. 13, 1906 and was a man of considerable brilliancy being a fluent speaker, and was always chosen by the inmates to make addresses on occasions when important delegations of visitors came to the institution. He was a native of New Orleans and was aged 43 years. At one time he was a government contractor, and later a cement walk contractor. His conduct was however always marked by eccentricities, to which no attention was paid, until, says the Times-Democrat, he conceived the idea “that a certain woman of New Orleans was being defrauded of a large sum of money.” Absorbed in that idea, he wrote a series of letters to her which at length became so annoying that she referred charges which were brought to the attention of the Post Office Department. A little more than a year after her commitment began, Thomas had moved on. On December 28, 1917 (12), he married the former Mattie Griffin in East Carroll. A little more than a year a following that, Angeline was dead. The cause? An aneurysm of the arch of the aorta. (13) She was just 43 years old. According to the National Institute of Health’s Medline Plus site, it takes years for symptoms of this condition to emerge. Hoarseness, swallowing problems, high-pitched breathing (stridor), swelling in the neck, along with chest or upper back pain, clammy skin, nausea and vomiting, and a rapid heart rate are counted among signs of sickness. (14) The last and most eye-opening symptom noted is a sense of impending doom. It may have been that Angeline wasn’t crazy at all – she had a broken heart. (2) “United States Census, 1880,” database with images, FamilySearch (https://familysearch.org/ark:/61903/1:1:MD6G-J69 : 13 July 2016), Angeline Paterick in household of Rich’D Paterick, Divine’s Plantation, East Carroll, Louisiana, United States; citing enumeration district ED 28, sheet 566A, NARA microfilm publication T9 (Washington D.C.: National Archives and Records Administration, n.d.), roll 0453; FHL microfilm 1,254,453. (3) “United States Census, 1900,” database with images, FamilySearch (https://familysearch.org/ark:/61903/1:1:MS53-HMC : accessed 6 March 2017), Mary Atlas in household of Thomas Atlas, Ward 3, East Carroll, Louisiana, United States; citing enumeration district (ED) 41, sheet 11A, family 235, NARA microfilm publication T623 (Washington, D.C.: National Archives and Records Administration, 1972. ); FHL microfilm 1,240,564. (4) “United States Census, 1910,” database with images, FamilySearch (https://familysearch.org/ark:/61903/1:1:MPTT-D2F : accessed 6 March 2017), Angeline Atlas in household of Thomas Atlas, Police Jury Ward 2, East Carroll, Louisiana, United States; citing enumeration district (ED) ED 40, sheet 26B, family 546, NARA microfilm publication T624 (Washington D.C.: National Archives and Records Administration, 1982), roll 513; FHL microfilm 1,374,526. (5)1908 East Carroll Parish Tax Assessment Rolls – 2 mules, 1 cow with calf, 1 wagon, 1 buggy, cash value of livestock = $1.90, cash value of equipment = $.40, total assessment = $2.30, Parish tax = $2.00, State tax = $1.15, District levee tax = $2.30, Special School tax = $.23. Accessed April 2006 at the East Carroll Parish Clerk of Court, 400 First Street, Lake Providence, LA 71254. (6) 1909 East Carroll Parish Tax Assessment Rolls – 2 mules, 1 cow, 1 wagon, 1 buggy, cash value of livestock = $1.90, cash value of equipment = $.40, total assessment = $2.30, Parish tax = $2.07, State tax = $1.15, District levee tax = $2.30, Special School tax = $.23. Accessed April 2006 at the East Carroll Parish Clerk of Court, 400 First Street, Lake Providence, LA 71254. (7) East Carroll Parish, LA Tax Assessments – 1916 – Tom Atlas, Colored, Jefferson Ridge: South ½ of lot of partition of Jefferson Ridge Plantation, August 1890, Township 21 North, Range 12 East (cotton – 20 acres, corn – 10 acres, wood – 20 acres), 2 mules ($120), 1 horse ($50), 2 cows (? ), wagon ($20). Total Paid: $19.62 Accessed April 2006 at the East Carroll Parish Clerk of Court, 400 First Street, Lake Providence, LA 71254. (8) 9th District Court Minutes, 1915-1923, Book E, Page 132, Saturday, September 23, 1916, Docket# 1552. Interdiction of Angeline Atlas, accessed April 2010 East Carroll Parish Clerk of Court, 400 First Street, Lake Providence, LA 71254. (9) Black, Henry Campbell. A Law Dictionary. Google Books. N.p., 1910. Web. 05 Mar. 2017. <https://books.google.com/books?id=R2c8AAAAIAAJ&dq=black%27s%2Blaw%2Bdictionary%2B1910&source=gbs_navlinks_s>. Page 741, Lunacy. (10) Black, Henry Campbell. A Law Dictionary. Google Books. N.p., 1910. Web. 05 Mar. 2017. <https://books.google.com/books?id=R2c8AAAAIAAJ&dq=black%27s%2Blaw%2Bdictionary%2B1910&source=gbs_navlinks_s>. Page 741, Lunacy Commission. (11) “An Atrocious Crime Unearthed.” The True Democrat. (Bayou Sara [La. ]), 23 Oct. 1909. Page 1. Chronicling America: Historic American Newspapers. Lib. of Congress. Accessed 6 Mar 2017. <http://chroniclingamerica.loc.gov/lccn/sn88064339/1909-10-23/ed-1/seq-1/>. (12) East Carroll Parish, Louisiana Marriage Book 1 (1912-1918), page 705, Thomas Atlas to Mattie Griffin, December 28, 1917. Accessed April 2006 at the East Carroll Parish Clerk of Court, 400 First Street, Lake Providence, LA 71254. (13) Louisiana State Board of Health, Division of Vital Statistics, Certificate of Death. Angeline Atlas, registered no. 19379, date of death: November 27, 1918, Jackson, East Feliciana Parish. Accessed April 2006 at the Louisiana State Archives, 3851 Essen Lane, Baton Rouge, LA 70809. (14) “Thoracic Aortic Aneurysm.” MedlinePlus Medical Encyclopedia. N.p., n.d. Web. 06 Mar. 2017. <https://medlineplus.gov/ency/article/001119.htm>.